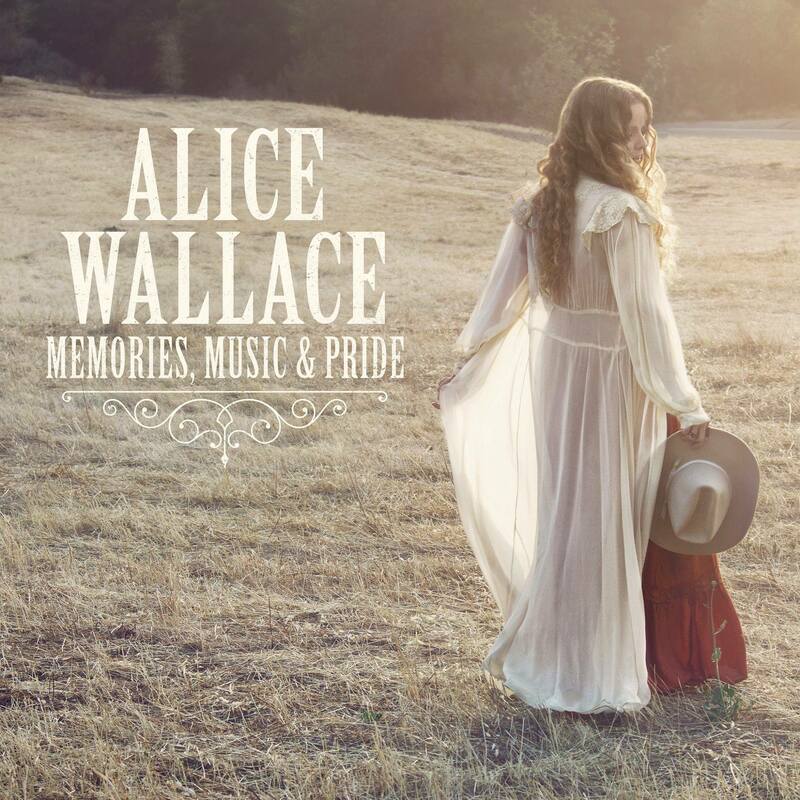 2016 LA Music Critic Awards winner for "Best Country/Americana Artist" and "Best Video (official) Female"
2015 LA Music Critic Awards winner for "Best Country/Americana Album"
Memories, Music & Pride, the third album by Alice Wallace, finds the Southern California-based Americana singer-songwriter exploring fresh musical terrain on striking self-penned material inspired by new emotional and geographical compass points. Wallace, whose powerful, elastic singing and melodic, literate song-crafting skill earned her the title of Best Country/Americana Artist from the LA Music Critic Awards in 2016, views Memories, Music & Pride as a significant step forward – one that bears a more integrated yet all-embracing sound. The 11-track collection – Wallace’s first release on Los Angeles-based California Country Records - succeeds two widely praised independent releases, Sweet Madness (2011) and A Thousand Miles From Home (2013). The new album was also named "Best Country/Americana Album" in late 2015 by the LA Music Critic Awards. Born in Los Angeles and raised in St. Cloud, Florida, Wallace developed an interest in music as a child. Her parents harmonized on country and folk tunes in the living room; her father was a semi-professional musician who toured regionally in the Southeast. As a girl, she joined her family at annual “bacchanalias” mounted by her father’s alma mater, Eckerd College, and became entranced by the events’ campfire-side hootenannies. Since then, Wallace’s musical tastes have gravitated toward the modern Americana scene with strong influence from artists like Patty Griffin, Lucinda Williams and Jason Isbell, while also exploring more and more the sounds of 50s and 60s country from artists ranging from Patsy Cline to Willie Nelson. In late 2008, Wallace abandoned her Florida roots and her career in journalism and followed her family to Fullerton, California, where her mother, a Golden State native, had inherited a home. She began pursuing music full-time and touring widely in 2013. Wallace’s new album was co-produced by Kirsten Proffit, of the attention-getting L.A. Americana trio CALICO the band, and Steve Berns, who also helmed Calico’s 2014 debut release Rancho California. Proffit and her band mate Aubrey Richmond contribute background vocals on Wallace’s record. “Luck, Texas” was inspired by a trip Wallace and her band made to Texas in March 2015, when they booked several dates in the state around the South By Southwest music festival. One was at Poodie’s Roadhouse, a venue opened by Willie Nelson’s road manager, the late Poodie Locke, near the town of Luck, where Willie makes his home.